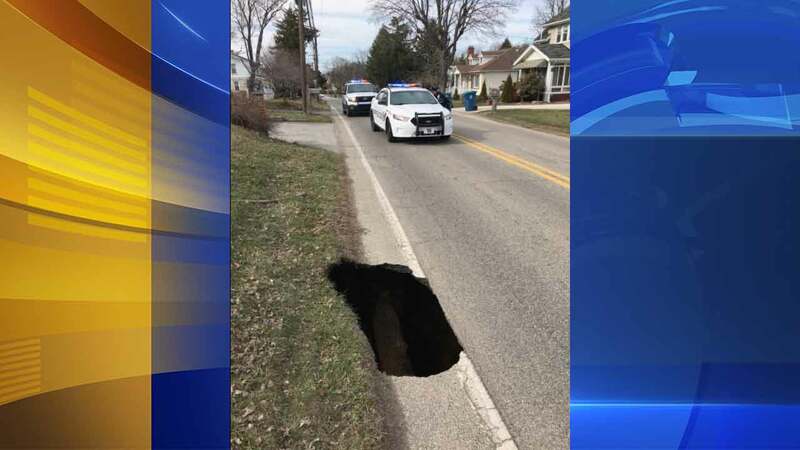 UPPER MERION TWP., Pa. (WPVI) -- Upper Merion Police are warning drivers to avoid Crooked Lane after a sinkhole opened up on the side of the road Monday. The hole was reported to police around 4:30 p.m. on Crooked Lane near Barnes Avenue. So far the hole has not expanded into the street. Police said there is no danger to nearby homes at this time. Police continue to monitor the situation.